However you mentally characterize these tender little brassica buds, they’re good eatin’. 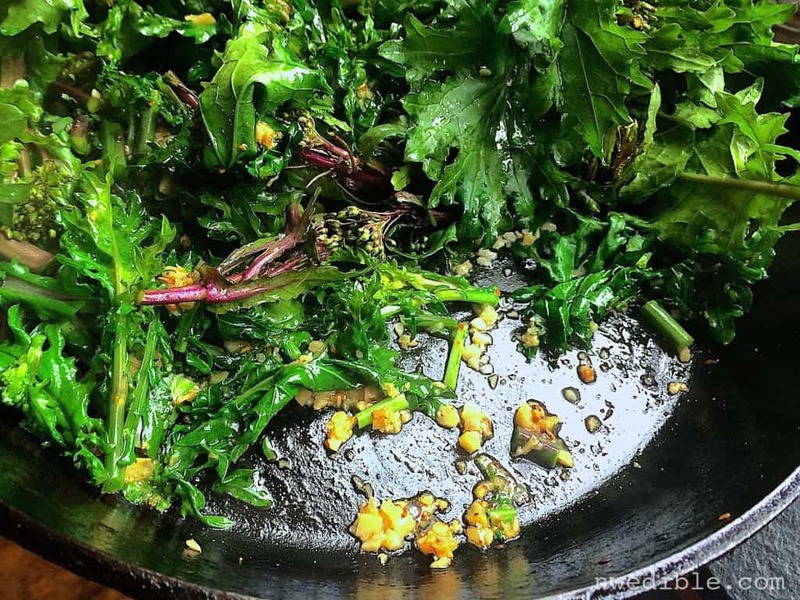 How do you cook kale florets? 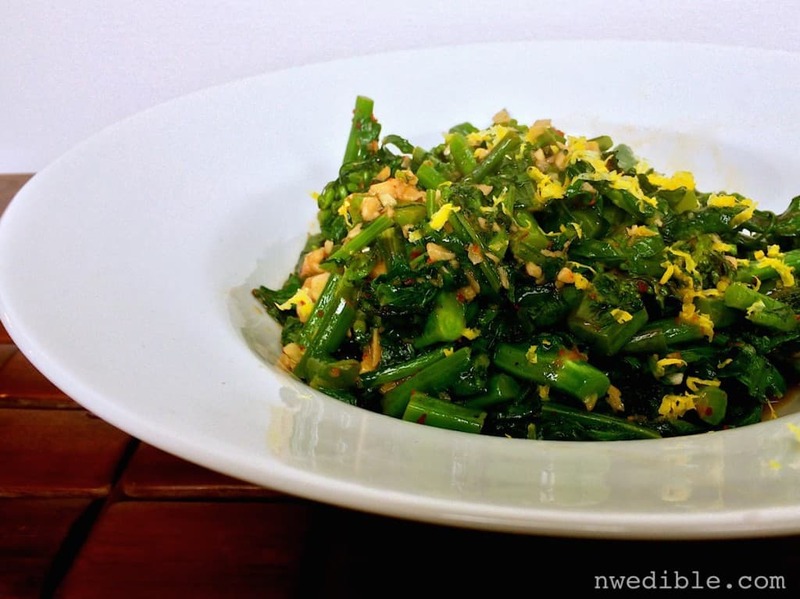 You can cook kale florets any way you’d cook broccoli, but I think this strong-flavored vegetable is at its best paired with equally strong flavors like lemon, capers, chili, garlic, ginger or Asian black bean sauce. If you find kale florets are too aggressive in flavor for you, you can blanch them just briefly (for like 30 to 60 seconds) to tone down the slight bitterness you can get in this vegetable before doing whatever it was you were gonna do with them. 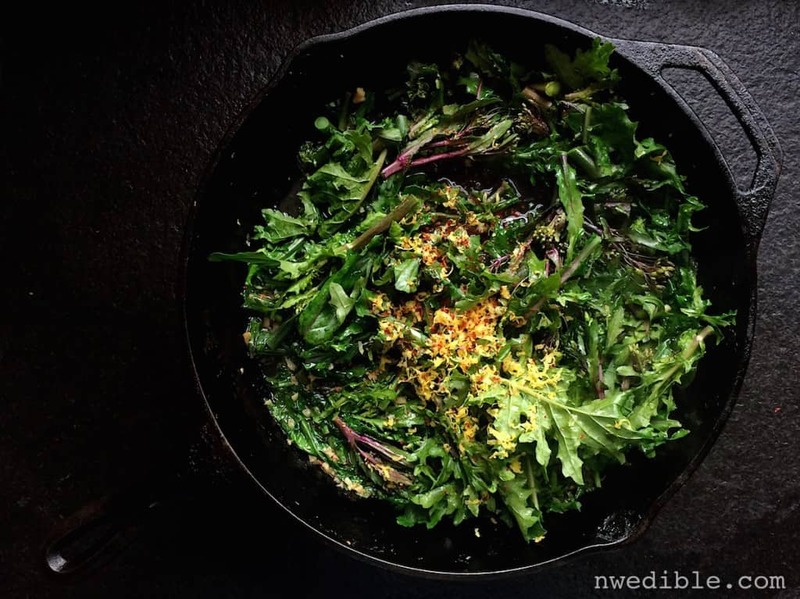 I like kale florets just fine as-is, and avoid extra steps whenever possible, so I prefer skillet-searing, stir-frying or high-heat roasting kale florets over blanching or steaming. 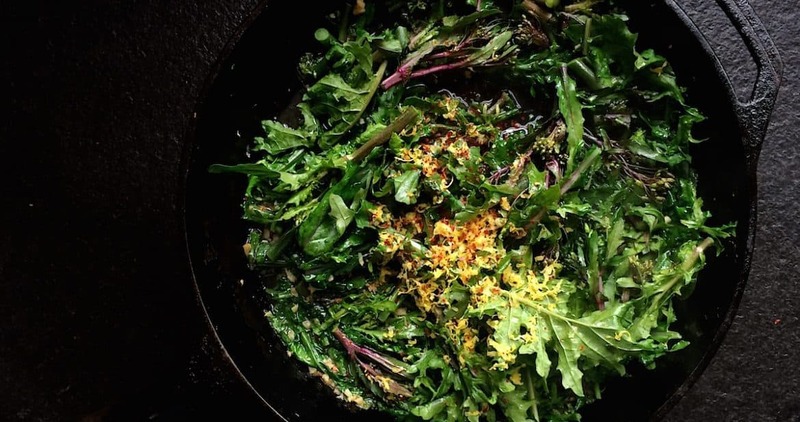 A quick rinse, followed by a trip in a hot pan with lots of olive oil and a flourish of lemon is a simple and delicious way to get your greens when very little is harvestable. Wash your kale florets. Sadly, wooly aphids love kale florets, so check the buds over thoroughly. 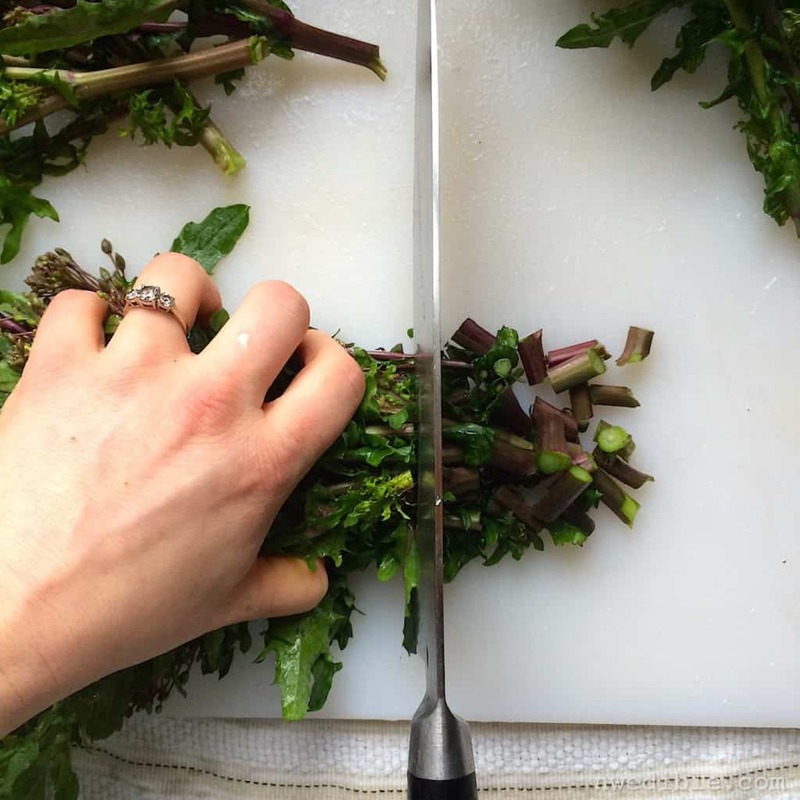 Run your knife through the stem bits, but leave the bud and loose, tender leaves whole. Heat up a big cast iron skillet and go crazy with the olive oil and chopped garlic. When the garlic browns, toss in the kale florets, with their wash water still clinging to them. Zest a lemon over the top of everything, and sprinkle in some chili flakes for heat. The kale florets shouldn’t take long – just a few minutes. When they are tender, season generously with salt and a squeeze of lemon if you like. Scrape the florets into a serving bowl and serve right away. 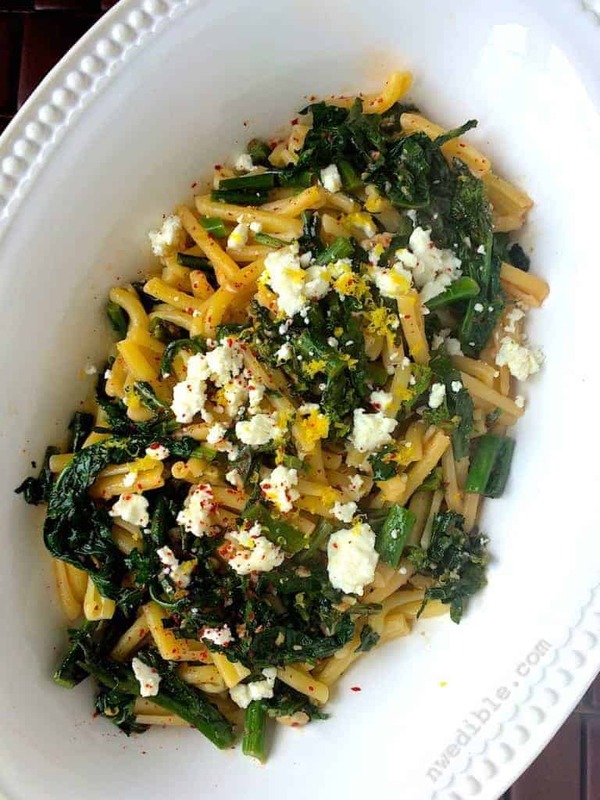 If you like, this basic side can be turned into an easy vegetarian main dish – just add hot cooked pasta to the kale florets, and increase the olive oil and lemon a bit to create a sauce that will coat the pasta. A bit of feta scattered over the top wouldn’t be out of place, either. Wash the kale florets. Cut the large stems into 1/2-inch slices. Heat a large cast iron skillet over medium high heat. Add 2 tbsp. olive oil to the skillet. When it shimmers, add the minced garlic and stir until the garlic is uniformly brown. Add more oil or adjust the heat as needed to keep the garlic from burning. Add in the kale florets, and stir them into the garlicy oil. 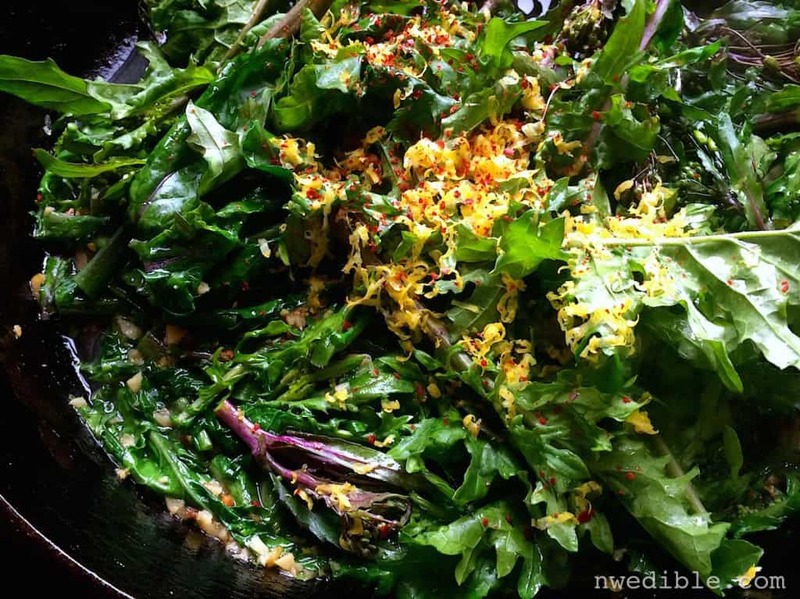 Use a microplane zester to zest the lemon right over the kale florets. Reserve the lemon for later. Sprinkle the red pepper flake over the kale and stir. When the kale florets are tender, after about 2 to 4 minutes, season generously with salt and pepper, and squeeze a bit of fresh lemon juice over the kale florets. Serve immediately, or, if desired, mix the florets with hot, cooked pasta. 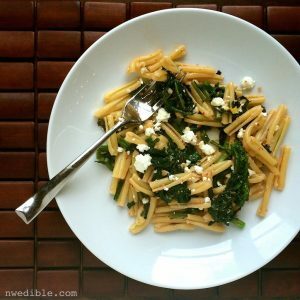 Drizzle additional olive oil and lemon juice over the pasta, and season to taste.